Every child deserves a safe place to play soccer. 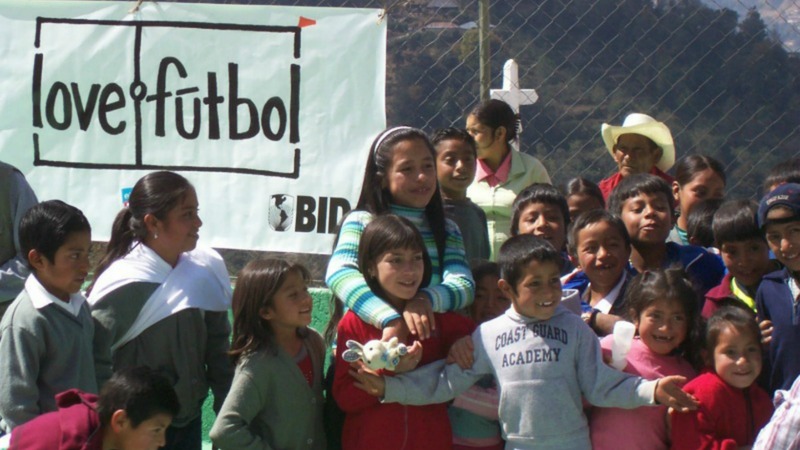 Love.futbol has predicated itself upon this phrase, but the non-profit has been giving communities around the world much more than that. Since 2007, the organization has helped build sustainable football pitches in areas without the infrastructure or resources available to build their own, and it’s had a deep and lasting impact while integrating all members of the local community. Building more formal and safe pitches in areas where street football already thrives, the organization has created 27 projects in Guatemala, Brazil, Argentina, and Mexico and is looking to expand to India, Egypt, and the United States in 2017. As a child, Chafetz had the opportunity to travel across the globe and connect with kids from a multitude of countries. Passion for travel is something that has stuck with him since. While studying abroad in Barcelona in 2005, Chafetz took an eight-day trip to Morocco, where he noticed a group of young children playing soccer in a back alley. Splitting the alley in half was a water canal, about one foot deep, which the children skillfully avoided. 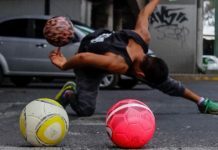 The playful yet dangerous scene, which Chafetz calls beautifully imperfect, illustrated the condition of countless children around the world who live and breathe street football but often without a safe place to play. The community has invested a ton of time and energy into it. It’s truly a symbol of the community—a symbol of their strength and unity. Upon returning stateside, Chafetz connected with his friend and former soccer teammate Alfredo Axtmayer, and together they co-founded love.futbol. The two initially raised $600 to travel to Guatemala and confirm the desire and need for such fields, and after a 21-day trip, they not only reaffirmed this idea, but witnessed the varied playing conditions. 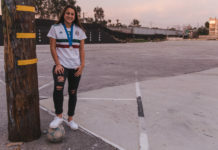 After more fundraising in the U.S., the two embarked on a seven-month trip to Villa Nueva, Guatemala, where they built the first love.futbol pitch. Using a community driven development strategy, the phrase “we cannot do this without you” became a main tenant of love.futbol’s ethos. The community responded in a strong way. 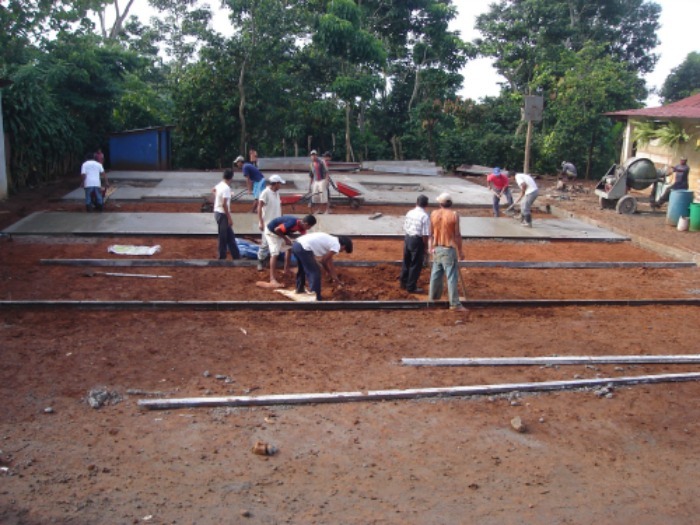 Together with local residents, the organization builds a football pitch in Villa Nueva, Guatemala. The members of the community replaced Chafetz and Axtmayer as leaders of the movement, and they built the pitch from the ground up. 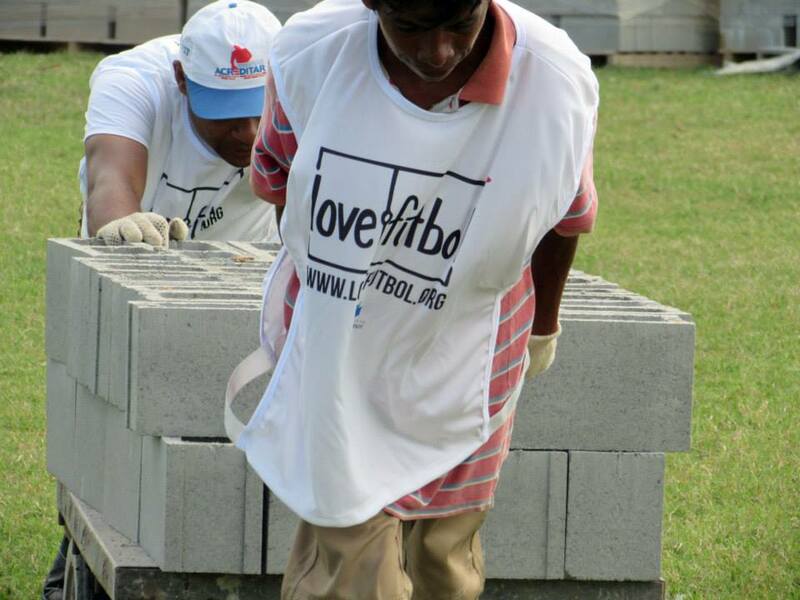 Engaging the community to work together to create the soccer field is something that love.futbol has done in each subsequent project they have worked on. This not only helps with construction costs, but brings neighbors together and builds a sense of pride for the safe playing haven they built with their own hands. Every year, the community in Villa Nueva raises their own money to pay for the repairs and upkeep necessary to keep the pitch in good condition. Children play on the completed pitch in Villa Nueva, Guatemala. Another project in Massangana, Brazil, was decimated by a massive flood just months after the field was completed. The community came together and raised funds to rebuild the field on their own. And the benefits are not limited to giving children and the community a safe place to play and gather. 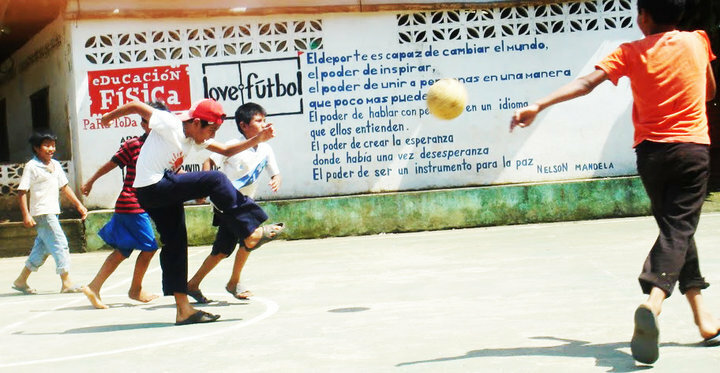 In a 2010 study done in four communities love.futbol had worked with in Guatemala, parents reported an increase in academic performance and decrease in gang involvement and drug abuse among children. 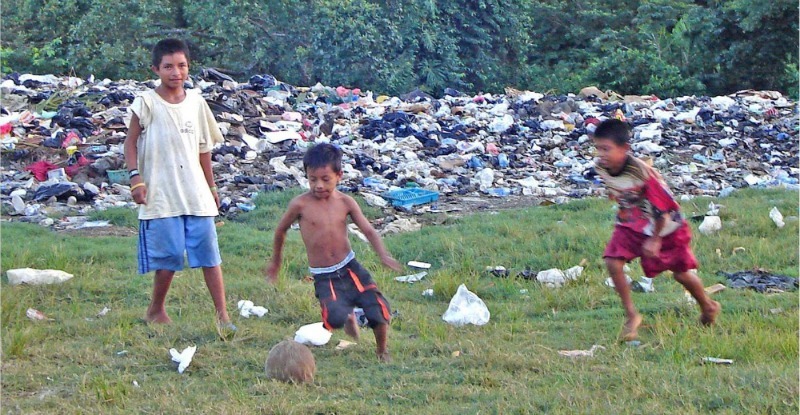 There’s been a gap in the market when it comes to soccer for lower income communities. Some of the challenges are just simple logistics. In addition to providing kids an outlet for recreation, the play areas serve as a source of motivation. Children who excelled in the classroom were often rewarded with play time on the love.futbol field. Additionally, the pitches brought economic growth to the community. The added foot traffic to the fields brought opportunities for stores and vendors to set up shop nearby the community hub. People even built stores during the fields’ construction in anticipation of the crowds they would draw. 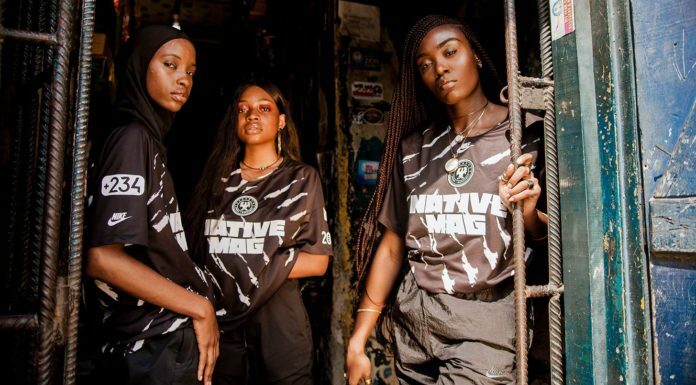 The next step for love.futbol is expanding to the United States, among other countries, where the organizers hope to transform small spaces into vibrant pitches. 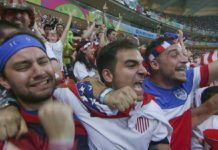 While football is not engrained in American culture to the degree it is in Brazil, Argentina, or Guatemala, Chafetz thinks that there is still opportunity for growth in the U.S.
Chafetz said that 2017 is going to be the busiest year love.futbol has had in its 11-year history. They plan to do 7 to 10 projects this year, which will be the most they have taken on. To learn more about love.futbol, you can visit their web site at www.lovefutbol.org.